These days, a popular internet past-time is to take an online test in which after asking you a series of seemingly random questions, the computer spits out your “type”. You might be labelled a dreamer rather than a do-er. Or you might be placed into the famous right-brain or left-brain category. The oldest known personality test – The Four Temperaments. Some scientists do believe that most people fall into a dominant left or right-brain category associated with behaviour. But it would be wrong to assume that being “right-brain dominant”, for example, means you only use this part of the brain. Let’s take a simplified look at the two brain hemispheres. The right and left hemispheres of the human brain are separate, but connected by a bridge called the corpus callosum. The right hemisphere is used for many tasks, including spatial, visual and emotional processing. The left hemisphere also has a variety of purposes, but notably includes language and numerical processing areas. Interestingly, MRI scans of dyslexic learners performing reading tasks often show more activity on the right side of the brain. By using the right hemisphere of the brain to process text, dyslexic learners are interpreting written language like pictures, primarily using their strong spatial and visual capacities instead of left-brain processing. This can lead to varying degrees of reading difficulty that Easyread addresses. But how do these personality quizzes figure out if we are predominantly right or left-brained thinkers without an MRI scan? The theory is that it all comes down to how we choose to process information. Many empirical studies have been conducted to discover the difference between people who think more creatively, and those who think more methodically. Findings reveal that creative thinkers use the right hemisphere (visual and spatial information area) of their brain constantly – even when they’re not confronted with visual tasks or reasoning-based tasks. As such, even the daydreams and so-called meaningless thoughts of a creative person are filled with different ideas that are being processed. In this way, creative or “right-brain dominant” people are very flexible in their problem-solving. You might picture a problem that leads to a maze with many different paths, each one connecting to a different path until arriving at a solution. On the other hand, the brain of a methodical thinker is more linear and analytical, a bit like a straight road that starts at one end with the problem, and finished at the other end with the solution. “Left-brain dominant” thinkers are more logical in their thought patterns, and often are less distracted by other tangential ideas. They focus exclusively on what they need to do and take the steps they need to solve the problem. So how much can we trust these labels? While scientists have examined the brains of creative and analytical thinkers in this way, the truth is that none of us is exclusively skewed to one brain hemisphere. Our brain hemispheres are designed to balance each other, and we easily access both hemispheres on a daily basis for different tasks. However, it seems to be true that most of us preference one way to process information, whether that be creatively or analytically. Which way do you prefer? Are you a creative or is there method to your every madness? Sarah Forrest is an Easyread Coach for the Easyread System, an online phonics course that promises guaranteed solutions for reading and spelling difficulties. 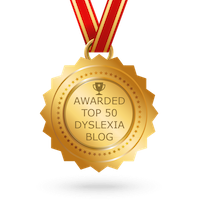 Find out more about Easyread at www.easyreadsystem.com with all the latest literacy and dyslexia news at www.facebook.com/easyreadsystem. I have a severely autistic son. There have been studies done showing problems with the right and left hemispheres “communicating” with each other in autistic individuals. Is there anything that can be done to strengthen the connections in order for both hemispheres to work together?